Christmas will be coming early to Rajapack this year, as on November 29th we will be hosting a festive fundraising day for the charity Refuge. 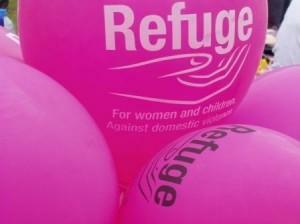 Refuge provide support to women and children who have suffered the trauma of domestic violence, a form of abuse which is distressingly common – as members of staff discovered when the charity gave a talk at our offices in June. The talk had a big impact on us as it was revealed that, shockingly, one in four women experience domestic violence and two women a week are killed by abusive partners. Although Christmas should be a time for family and celebration, sadly many women and children will be spending the festive season in refuges, having fled violence in the home. This entry was posted in Charity Work and tagged charity, christmas, packaging, rajapack, refuge on October 24, 2013 by Rajapack.